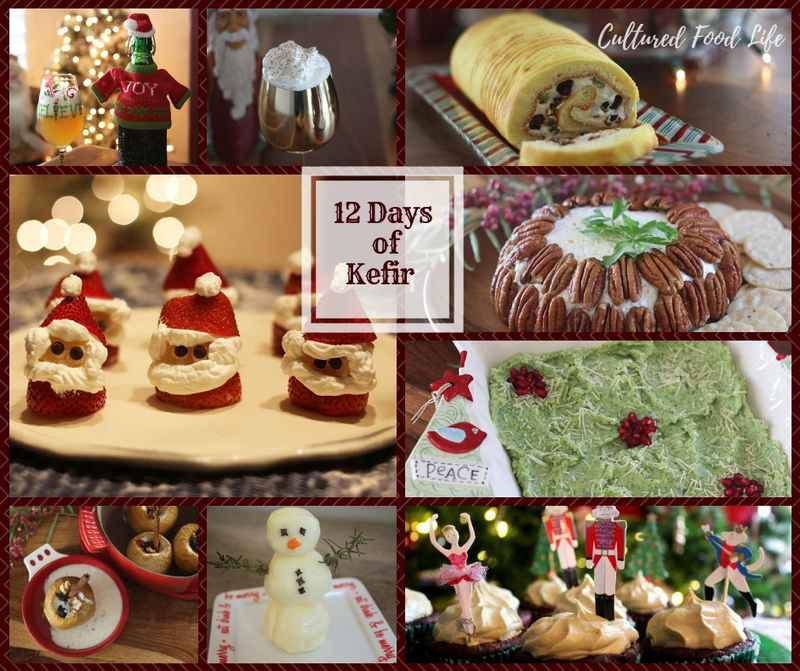 9 Responses to "The 12 Days of Kefir 🎄"
Hi. I can’t get the free videos to work. It says I have to become a member to watch them. Have both of your books & a video and follow you on FB. I made milk kefir for many months and stopped after I lost my source for raw milk. Now I can only get pasteurized milk and sometimes only ultra-pasteurized. Do you still believe there are enough benefits to start again or do you have any suggestions ? Many thanks! Yes, making kefir is these kinds of milk has a lot of benefits and is what I first started with. Okay never mind. I re-read the instructions and now know that the cards have to be printed by me. Too bad cuz my printer doesn’t work any more. That’s okay I’ll just keep myself busy using the recipes in the book I just ordered. I so love your energy and can’t wait to try this! 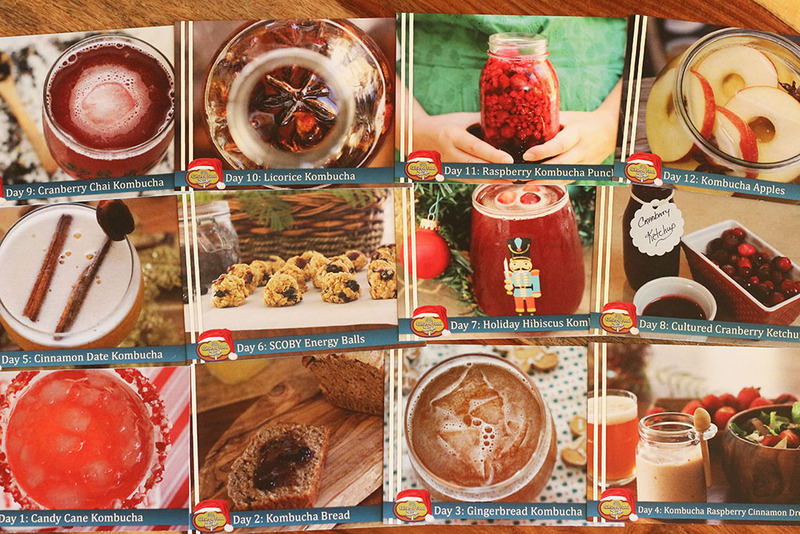 I have always wanted to make my own Kefir and fermented drinks but I was afraid to try it. 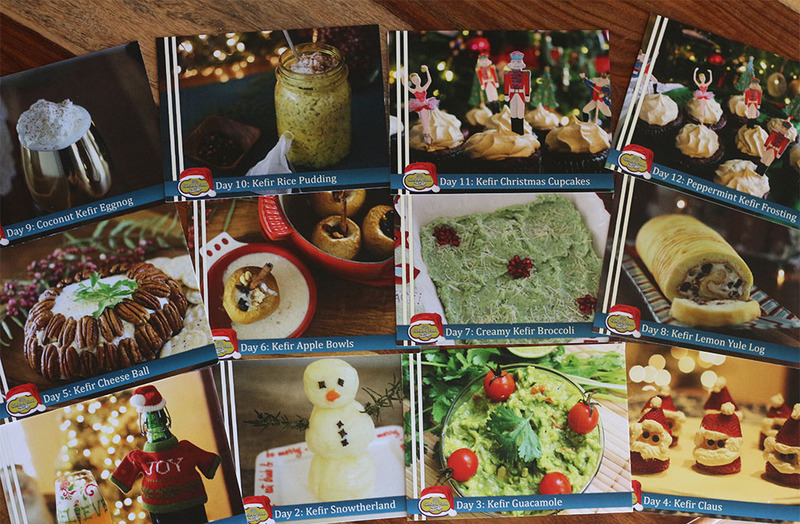 You make it look fun and the flavors sound delicious! Do you ever use the tea to make Kombucha? I was thinking star anise, sarsaparilla root, and some vanilla might be awesome. Hello! I am enjoying all your posts and recipes. I have been eating kraut and drinking water kefir for about a year or so now. I had gotten up to 1 cup of kraut and 8 oz of kefir with no negative reactions, however since I got pregnant, even two bites of kraut upsets my stomach. The same with drinking kefir. I am 11 weeks and it seems like my stomach is sensitive to everything. I want to have the kraut and kefir so my baby will be healthy, but I’m wondering why I am so sensitive to it after my body being used to it? I cut down to two bites of kraut a day, and it was still bothering me. Should I keep trying it out till my body adjusts? I don’t know who else to ask. So many people are clueless about ferments. Any thoughts would be so helpful. Thank you so much! 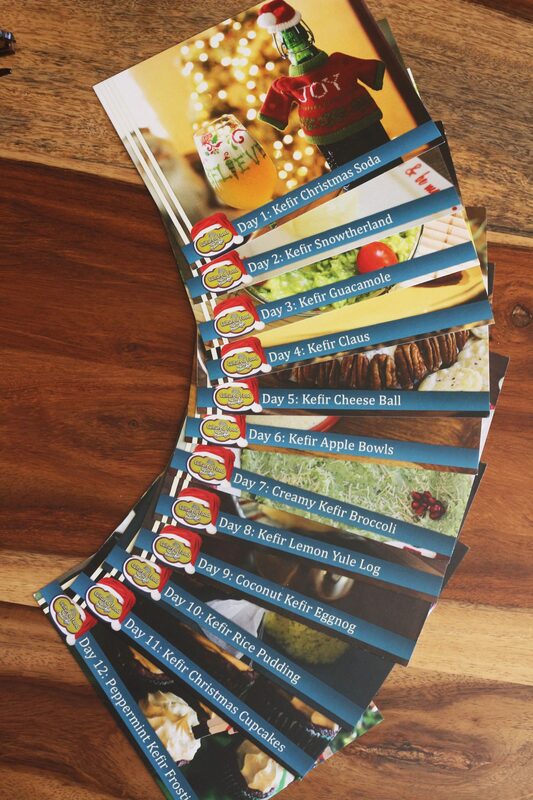 I am ordering your new book, are all these recipes in your new book? No, some of the recipes are not included in the book.